Back in SOS October 2008, we raved about the 'high‑quality sonic weirdness' of Heavyocity's original flagship product, Evolve, created to provide film, TV, games and other visual media composers with a one‑stop shop of dramatic percussion, looped instrumental phrases, treated melodic instruments, stings, builds and transitions. Where many collections of this type go wrong is in only providing pre‑mixed loops: dramatic they may be, but flexible they ain't. Evolve offered all its looped elements beat‑sliced and neatly spread out across the musical keyboard, so you could very quickly dovetail together a multitude of unique variations to suit any tempo, and avoid those "I'm sure I've heard this somewhere before” comments from your customers. 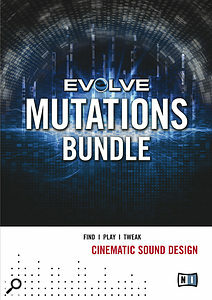 With Evolve Mutations and Mutations 2, they have delved even deeper into this rich vein of creativity, exploring darker and more sinister themes across the total of some 600 Kontakt instruments/multis and 3.5GB of 24‑bit sampled content. All three Evolve libraries have their contents carefully sorted into Rhythmic Suites; Percussive Kits; Stings and Transitions; and Tonality and FX, to make it quicker for professional users to find something suitable for their project when on a deadline. 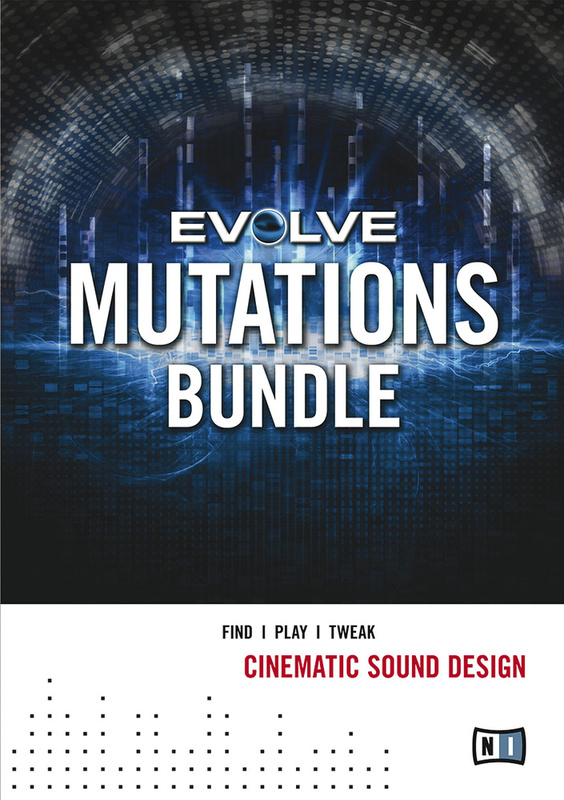 Mutations offers 275 instruments and an enhanced version of the original Evolve front panel, with more comprehensive control over envelope and effects, and the first thing that struck me about it was its attitude and sonic impact. Yet, at the same time, it's not a one‑trick pony, since as well as the plethora of hard‑hitting impacts, rusty kits and mangled riffs there are plenty of more delicate instruments and motifs to relieve the tension and balance things out. High‑tension stings and industrial effects sit side by side with delicately droning pads, chilling chimes and treated pianos, so this collection could work across a wide variety of musical genres. Mutations 2 has over 300 instruments, a radically new metallic interface and a clever new set of Trigger FX features that use an octave's worth of notes for keyswitched triggering of various extra effects during your real‑time performance (a version 1.5 upgrade is also available to Evolve users, offering the same benefits). The Trigger FX do add a lot of flexibility, enabling you to punctuate passages with ease, and are a great addition. Mutations 2 is darker than Mutations, especially with the added mayhem of its Trigger FX options (think, perhaps, Slipknot compared with Nine Inch Nails). With preset names such as 'Darkness Falling', 'Edge Of A Nightmare' and 'Give Me Novakaine Kit', this offers a perfect foil to cleaner material, especially when you need to shock your listeners. I loved its aggression, which makes some competing products sound positively polite.